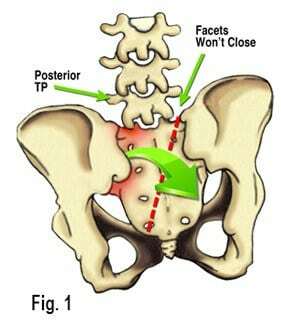 What’s the cause of back pain? Most of us suffer some form of neck and back pain during our lifetime. It’s just as common as a headache, stomachache or knee pain. “Until it was turned into a medical condition in the early 20thcentury, back pain was considered an inevitable human experience,” said Canadian surgeon Hamilton Hall, MD. “There is no simple cure because there is usually not a clear-cut precipitating trigger associated with many forms of musculoskeletal pain,” notes Hall. require high-tech diagnostic testing, heroic treatment interventions or significant absence from work. These conditions, like most cases of neck/back pain, simply are bumps in the road. Traditional massage techniques are helpful in desensitizing hyperexcited cutaneous (skin and fascial) neuroreceptors. However, deep-tissue techniques that incorporate active client movements (enhancers) during the hands-on work, add additional therapeutic power by calming articular (joint) receptors and improving proprioception and body awareness. Intrinsic muscles and joints are inseparable; what affects one always affects the other. 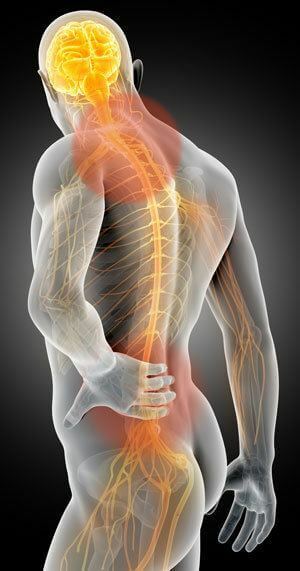 Therefore, myofascial pain syndromes should include soft-tissue techniques that create extensibility in contractured tissues via graded exposure (repeated non-painful movements), tonify weak muscles, and decompress impacted, motion-restricted joints and their supporting ligaments. As the research rolls in and causality is eventually decided, it is in the client’s best interest to immediately begin routinely scheduled bodywork sessions in conjunction with a specialized corrective exercise regime… regardless of origin. Well structured manual therapy sessions and individualized rehabilitation programs appear to be the treatment of choice for this chronic and sometimes disabling condition that affects an estimated 2 million Americans each year.